The shooting of Mahesh Babu’s next in the direction of Koratala Shiva is going on in full swing. Some key scenes in the film are being canned currently in Hyderabad. Meanwhile, the work on the teaser of the film is already on and the reports suggest that the teaser might be out during the time of Ugadi which falls in March second week. The makers are planning to release the teaser in a grand manner amidst all the fans. 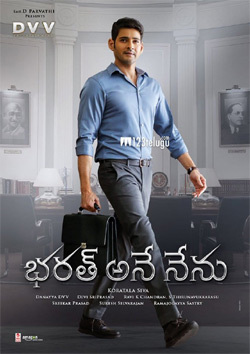 Post the little audio clip of Mahesh taking an oath went viral all over, there is a huge buzz for the film. Koratala Shiva directs this film which has music by Devi Sri Prasad.